Maybe you have been at a nighttime parade or a rodeo and seen glow sticks or plastic swords that glow. 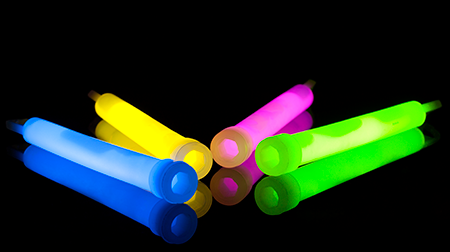 Have you ever wondered how companies can make those things glow without using a power source such as electricity or a battery? Maybe you learned that when certain chemicals are put together, they can give off glowing light. Companies have studied this idea and used it to make millions of dollars. But did you know that God invented this idea from the beginning of His amazing Creation to make plants and animals that can do the same thing? In fact, God’s designs are even better than the ones used to make glow sticks. When living things such as plants, animals, or bacteria produce light, it is called bioluminescence. The prefix “bio” means “life,” and “luminous” or “luminescence” means “light.” You are probably most familiar with this phenomenon in nature because of lightning bugs. They are bioluminescent beetles. But there are many other living organisms that produce light as well. 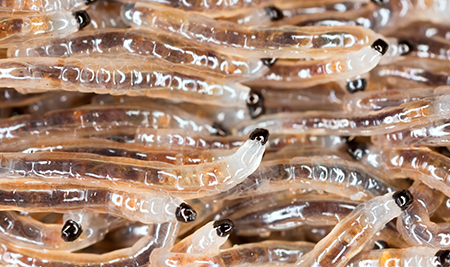 One of the most fascinating glowing creatures is the fungus gnat larva. This little creature hangs from the ceilings of caves in Australia and New Zealand. 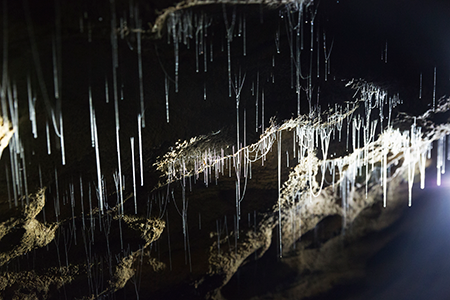 Thousands of them light up together to make the cave ceiling look like a starry night sky. The larva weaves tiny strings of “web” from the ceiling and attaches little drops of mucus along each string. The larva then emits a bluish light from its position on the ceiling. Flying insects are attracted to the light and fly into the hanging curtain of death. The mucus droplets trap the little insects. Some fungus gnats even have a chemical in the mucus that stuns the prey. The larva then “reels” the string up and eats the trapped victim. This amazing little gnat sheds “light” on the fact that God is an awesome Creator.